My mother read Tony Hillerman’s books–one after the other, like eating potato chips. * One quiet day in her condo** I stretched out my hand and picked up a creased paperback and immediately fell into Hillerman Country. Hillerman Country is red and ochre and brown and yellow. Dusty and windy. Populated by buttes and washouts, hogans. The people population, in tune with nature or out of tune as people can become, engages in small rituals like reheating bad coffee, tracking down murderers, deflecting said murderers’ knives or bullets, and honoring ancestors with a pinch of cornmeal and a prayer to the corners of the world. That’s a lot to get into a series of books, yet each title holds the microcosm of modern-day Navajo policemen Jim Chee or Joe Leaphorn’s lives and their macrocosmic counterparts. I barely looked up until I finished that first book about Jim Chee, or maybe it was Joe Leaphorn, or maybe the book that finally brought the two together. 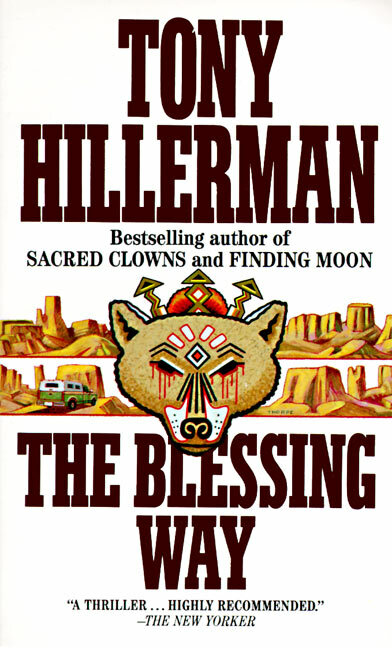 From that one on to another, all the novels filled with crisp writing, nuanced and slightly self-tortured characters (Hillerman was a WWII vet, which seems to lend gravitas to the reluctant but oh-so-capable warrior-shaman-police officers). Both Chee and Leaphorn wore the conflict of tradition and modernity like a badge on their chests. I read all of Hillerman’s books, not only because of the smart pacing and thrilling mysteries, but because his characters knew that each footfall we make in this world is a choice. The books held significance, especially after my first trip out West to New Mexico, where I read one of his novels in between hiking to petroglyphs and eating beans from a can. *** With a pitch-perfect ear Hillerman caught the fluid cadence of Navajo and the sputter of two-way radios, wind rushing over sage, chants over rodeo loudspeakers, and even that particular dry chime that occurs when your foot clips a rock on a trail. When I heard he died, it was as if a relative of my mother’s had died. My mother loved her armchair adventures, loved the time she visited Indian Country, and loved giving a capsule summary of any one of Hillerman’s books at the drop of a hat, cowboy or otherwise. Any mystery novelist who could inspire such enthusiasm for the original Westerners, deserves a drink, on me. *** Overrated. I now suggest Trader Joe’s curried tuna. I first read Tony Hillerman’s The Blessing Way, as a misfile in my SF collection. I was hooked from then on. and stopped at some of the places he’d mentioned in his books. Joe Leaphorn, Jim Chee: all fell victim to my avaricious reading. like Finding Moon, and the Fly on the Wall. “The best place for that rug is under those kids,” I told him. Drum on, Tony Hillerman. You sure could tell a mean story. I haven’t figureed out how to get the Picksburg Kid’s pics up, but I remember how much she loved the Canyon. The Kid’s pics show it more in its raw and slightly dangerous glory. Loved the balanket anecdote. So true! I had to lock up my photo account due to rustlers stealing my herd of photos. I could send a link, might help. Send a link. I’ve seen photos with the copyright info layered on top of them. A photoshop thing? 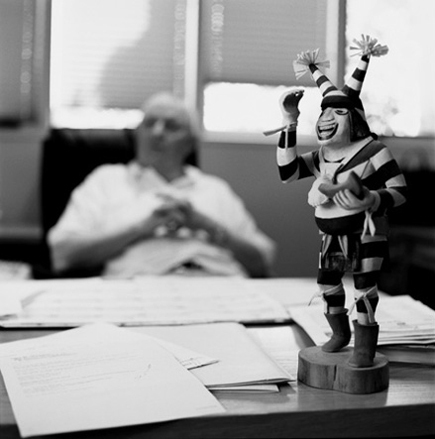 Anyway, nothing like keeping your creative life free from rustling…. Some of mine do, but it’s hard when yer doin’ hundreds of pix @ day. I lost my beautiful OneEye Photo logo when my media drive went. but I draw the line at somebody selling mugs with my images on ’em.